California encephalitis virus in the genus Bunyavirus, belonging to the California serogroup. Originally isolated from the blood of an emaciated hare, Lepus ameri-canus, caught in Bitterroot Valley, Montana, USA. Isolated from lemmings, hares and mosquitoes in various parts of northern USA, Canada and Alaska. Antibodies found in humans and other animals. Distinguished from other members of the group by CFT, HAI or neutralization tests. Causes subclinical infection in humans. RNA processing. Complexes of small nuclear RNA molecules, 100-300 nt in length and specific nuclear proteins. Sny der-Theilen feline sarcoma virus (STFeSV) A species in the genus Gammaretrovirus. Isolated from a feline fibrosarcoma and induces the tumor on inoculation into cats. Contains the transduced oncogene v-fes (expressing tyrosine kinase) which is also present in the Gardner-Arnstein feline sarcoma virus, and in the Hardy-Zuckerman feline sarcoma virus. sockeye salmon virus Synonym for Oregon sockeye disease virus, a strain of Infectious hematopoietic necrosis virus. sodium dodecyl sulfate (SDS) A detergent used to break up virus particles, or infected cells. Soehner-Dmochowski murine sarcoma virus A strain of Moloney murine sarcoma virus in the genus Gammaretrovirus. 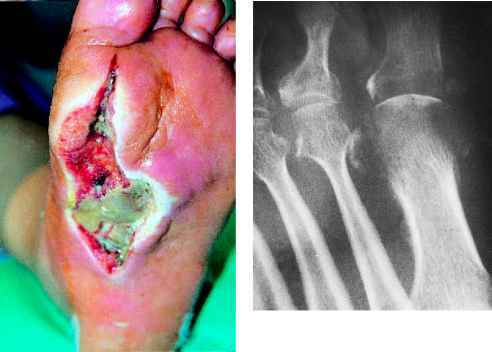 Obtained from bone tumors induced in New Zealand black rats by injection of mouse sarcoma virus (Moloney strain). soft-shelled turtle iridovirus (STIV) A possible species in the genus Iridovirus. Isolated on a farm in Shenzhen, China from soft-shelled turtles, Trionyx sinensis, with 'redneck' disease. Sofyn virus (SOFV) The prototype strain of Tick-borne encephalitis virus, Far Eastern subtype, in the genus Flavivirus. No known vector. An isolate from a human patient with TBE in Far Eastern Russia in 1937. Differences in sequence and patho-genicity have been reported between Sofyn virus and related Far Eastern TBE strains, Siberian TBE strains, and European TBE strains. Sokoluk virus (SOKV) A strain of Entebbe bat virus in the genus Flavivirus. Isolated from pipistrelle bats and various birds in Kirghizia. No known vector. Not reported to cause disease in humans. Soldado virus (SOLV) A strain of Hughes virus in the genus Nairovirus belonging to the Hughes virus serogroup. Isolated from a mixed pool of ticks of Ornithodoros sp infesting a common noddy, Anous stolidus, on Soldado rocks in the Caribbean Sea. Also from O. capensis associated with sea birds in Ethiopia, Seychelles, USA and Senegal; and from O. maritimus in France, Ireland and North Wales, UK. Kills suckling mice but not known to cause disease in humans or other animals. soluble antigen An antigen which is virus-specific but not the virion itself, e.g. the nucleoprotein of influenza virus. It often comprises isolated structural subunits but can also be non-structural virus-coded proteins. soluble RNA RNA that is soluble in strong salt solutions, e.g. 3m sodium acetate. Consists mainly of small species such as transfer RNA and ribosomal 5S RNA. Somerville virus 4 A strain in the genus Orthoreovirus, belonging to the avian orthoreovirus group. Somone virus An unclassified arbovirus. Isolated from the tick, Ambylomma varie-gatum, in Senegal. Also isolated from Boophilus decoloratus in Nigeria. sonication Use of high frequency sound wave energy to release virus from associated cells for antigen preparation or, at higher energy input, to inactivate virus infectivity. sore mouth virus A poor term because it has been used as a synonym for both Bluetongue virus and Orf virus. species liver enzyme dihydrothymine dehydrogenase, responsible for degrading drugs such as 5-fluorouracil (5-FU) used in cancer chemotherapy. When both 5-FU and sorivudine were used together, a number of deaths resulted, so the compound will not be licensed in the USA.